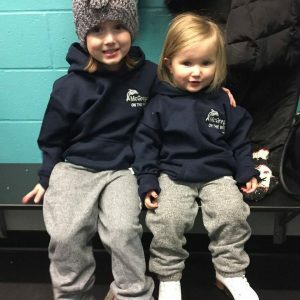 "Stop in and say hi to the team!" 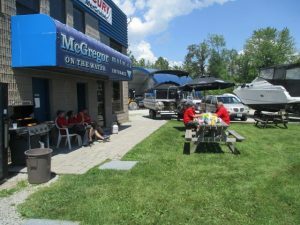 McGregor on the Water is a family owned and operated full service marine facility. Our aim is total customer satisfaction. 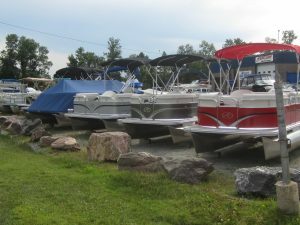 We strive to offer the best service possible, whether you are looking for a 30 foot boat or a $3.00 accessory. 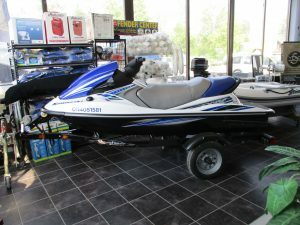 We are open 7 days a week all summer long to make sure our customers are always ‘on the water’. Our sales team are marine sales professionals dedicated to making your purchase as memorable and stress free as possible. 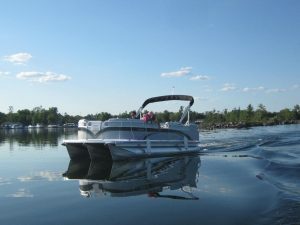 We want your experience in purchasing a boat to be fun and enjoyable for you and your family. Here at McGregor on the Water we are always interested in knowing how we did! We always appreciate your comments and feedback. 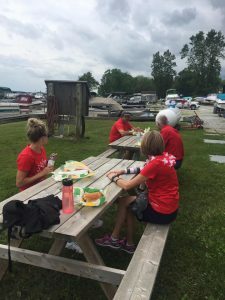 We are a member of the Boating Ontario Association whose common goal is to promote recreational boating in Ontario. We consistently participate in conferences and meetings in order to better ourselves and our marina for our customers. We have been working alongside Georgian College and their initiative to increase student numbers in the marine technician and apprenticeship. We avidly seek placement students and currently employ technicians who studied at Georgian College. We continue to attend meetings and stay up to date with Georgian College’s Midland campus and will continue to support their marine programs. In the Heart of Cottage Country! 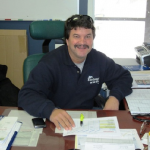 Serving Lake Simcoe, Lake Couchiching as well as the Muskoka’s. Our location makes it easy for us to provide great customer service to a large area. Our commitment to excellence in all areas is something we work hard at year round. 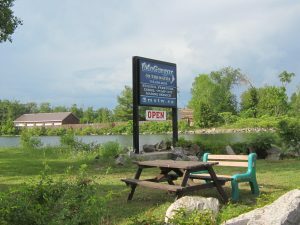 McGregor on the Water is a member of the Clean Marine program in the province of Ontario. 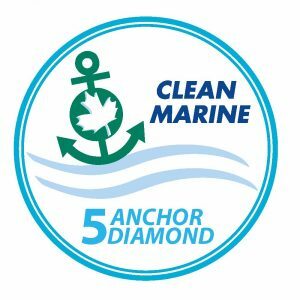 We are proud to announce that after our last audit in 2015 we were awarded Diamond Status and are constantly looking for new ways to improve our Clean Marine Status! Each of the Clean Marine Program marinas must pass a comprehensive environmental audit to ensure compliance with the program standards set out in the Clean Marine Operations Handbook. This handbook, developed throughout the co-operation of Boating Ontario, Environment Canada and the Ontario Ministry of the Environment sets out more than 200 environmental practices that cover all aspects of marine operations from fuelling to waste oil, shrink-wrap, and paper recycling, to money saving initiatives such as energy conservation. 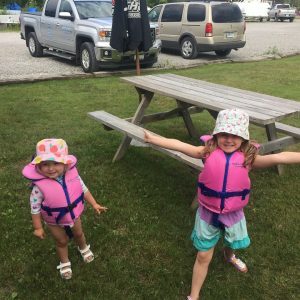 Boating Ontario Dealer members are registered boat brokers and dealers who belong to an associated that has the highest standards of service in the recreational boating industry in Ontario. All registered Boating Ontario Dealer members have agreed to belong to the Ontario Yacht Broker & Dealer Association; they have committed to very strict terms of reference for the conduct of their businesses and have agreed to abide by a strict code of conduct. 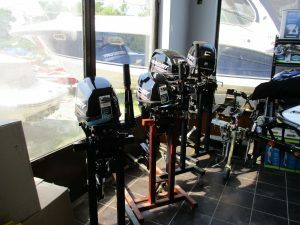 Every Boating Ontario Dealer is also a member of the Boating Ontario Association. 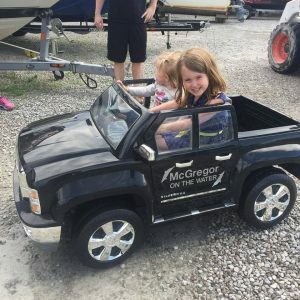 McGregor on the Water is a registered Boating Ontario Dealer abiding by the Terms of Reference and Code of Ethics of the Ontario Yacht Brokers and Dealers Association to promote the highest standards of service and professionalism in the boating industry of Ontario.